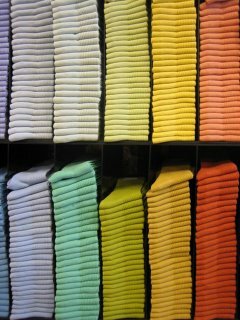 when i saw this stacks of socks at UniQlo, i could not - not to grab my camera and took several shots of them. i really didn't care if the security guard would tell me not to take pictures inside its store. if he did so -- i would simply tell him that i am a tourist which he probably wouldn't believe it either until he tried to see my passport. 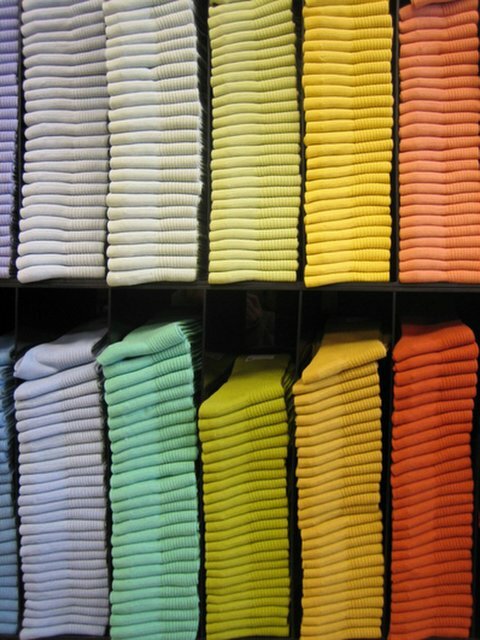 here, you can get all kinds of color of socks and i love their shades of colors. gue juga paling suka motret yg warna warni kayak gitu. Wow seger banget liat foto ini..